So it’s a weekend morning, you wake up at your leisure, and you look for something to pair that glass of OJ with. You’re specifically looking for something healthy, delicious, and filling. In the Middle East, this has always been a big hit, especially for those who like a spicy kick in their breakfast. And there are many ways to prepare it–depending on what you want in it. The main ingredient with the eggs, though, is the chili paste. This is one of our favorite shakshouka recipes–from the spicy side of brekkie time. You can have it with toast, pita bread, or in a breakfast wrap. Highly nutritious, and satisfying enough to keep you fueled up for hours, a “shakshouka” is worth every minute it takes to prepare it (around 10-15). It’s also a great way to use up any leftover courgette marrow and spinach! 1. Heat the oil in a frying pan. Add in the onions, saute until softened. 2. Toss in the tomatoes, zucchini and spinach, and stir fry for 3 minutes. Meanwhile, in a separate container, beat the eggs with the pepper, salt, tomato paste, and chili paste. 3. 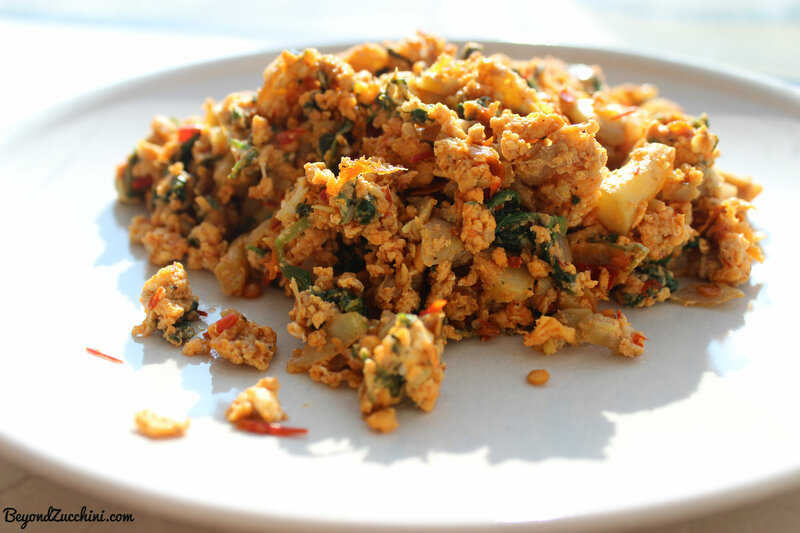 Add the egg mix to the veggies in the pan, and stir until the eggs are well-done. 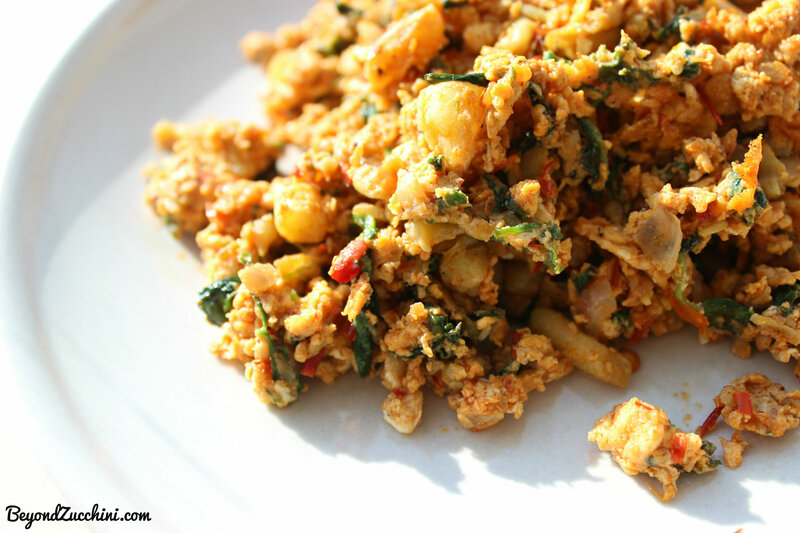 Love this recipe it’s similar to our Easy African Stewed Scrambled Eggs. Love that no matter what culture we are, food is always a common ground that brings us all together. That is so true! Food is a uniting culture in a way 🙂 would love having a look at your version of spiced scrambled eggs! I like this recipe it’s similar to our Easy African Stewed Scrambled Eggs. Love how no matter where we are from food brings us together – it’s a universal language.